The annual fall haunted experience at the Ohio State Reformatory is now underway. Escape from Blood Prison has opened its doors to provide a “haunted hellscape” in an authentic former prison. You are welcomed to test that authenticity. 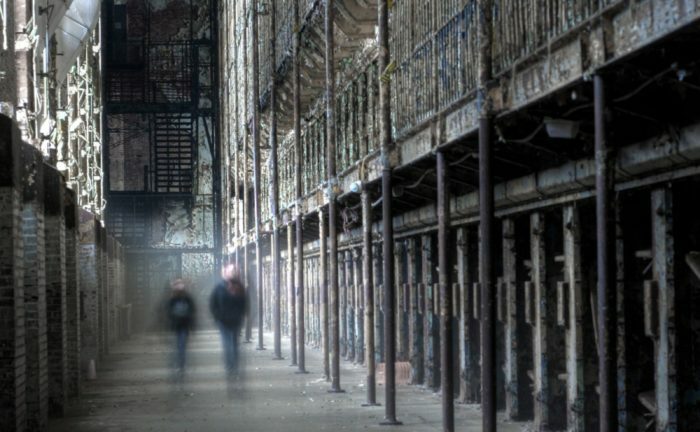 According to organizers, the premise goes like this: The most deranged inmates have escaped from maximum security prisons across the nation and claimed The Ohio State Reformatory as their new hideout. What goes on inside, it’s hard to tell. After one too many unsolved murder cases and creepy clown sightings, the authorities have left these psychopaths to themselves. But every Halloween, gates open to this hideout from hell — BLOOD PRISON. Know that unsuccessful jailbreaks will cost you far more than the admission price. Get in and get out — if you can! To visit the attraction, guests must be 13 years of age or older with adult supervision for minors. Please be advised the because of the popularity of Escape from Blood Prison, wait times can exceed two-plus hours on weekends for general admission. Special passes are available for purchase which either cuts wait time either in half or eliminates it altogether. Admission is $20 for General Admission, $30 for a “Speed Pass,” and $40 for a “Lightning Pass.” Tickets are available for purchase here. Escape from Blood Prison will continue through November 4. Updates are available on the Blood Prison Ohio Facebook Page.